Lightolier LyteCaster Collection 3-3/4-Inch Downlight step baffle reflector trim in matte black finish, features 0.04-Inch hydroformed aluminum construction. It accommodates 40-Watt A-19, 50-Watt R20, 50-Watt PAR20, 75-Watt PAR16 or 50-Watt PAR20 lamp. Trim has aluminum step baffle with stepped conical surface for low brightness. It is ideal for damp locations. 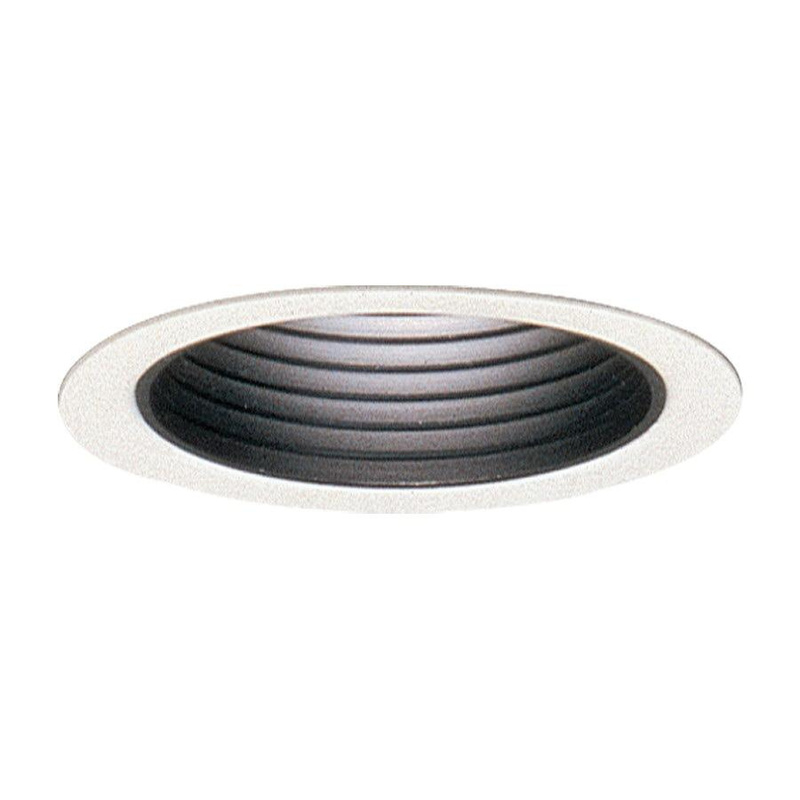 Downlight step baffle reflector trim is UL listed.